Two #1 bestsellers in the same day? Wow. Now this is awesome. Two #1 bestsellers on the same day from the same series? Score! I’m so happy readers are enjoying Surviving the Fall. Episode 3 released this morning and Episode 4 is going to be out in a couple weeks. After that it’ll be time to work on No Sanctuary #3. When will Surviving the Fall book be out? Anxiously waiting. I’ve read everything else of yours! Hi Shannon! 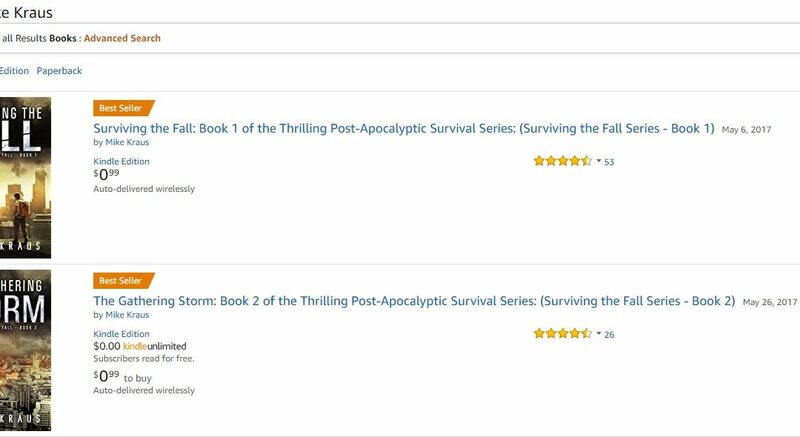 Books 1-4 in the series are out and Book 5 in Surviving the Fall should be out by the end of August. Right now I’m working on finishing up No Sanctuary #3 and then it’ll be back to Surviving the Fall. What is the difference between Final Dawn seas91 and episode 1? Final Dawn was an episodic story originally published in 10 episodes and the finale contained within Season 3. For ease of reading and for the cheapest way to read the saga I recommend picking up the Final Dawn Box Set.